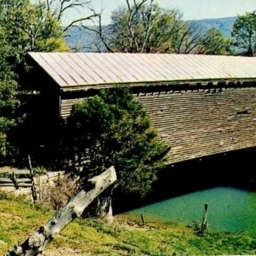 Postcard showing the covered bridge located at Meems Bottom in Shenandoah County Virginia. Old Covered Bridge on the Beautiful Shenandoah Rive at Meems Bottom, Va. 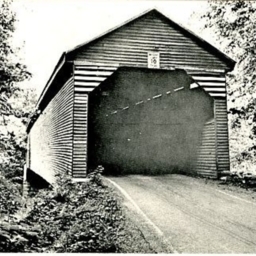 Covered Bridge over the Shenandoah River between Mt. 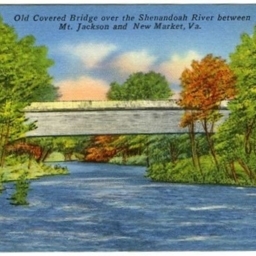 Jackson and New Market, Va.
Postcard showing the covered bridge that spans the Shenandoah River at Meems Bottom, south of Mt. Jackson Virginia. 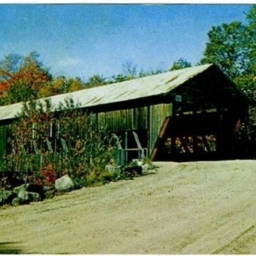 Postcard showing the Covered Bridge at Meems Bottom just south of Mt. Jackson Virginia. 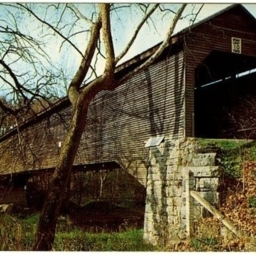 Postcard showing the covered bridge that spans the Shenandoah River at Meems Bottom, just south of Mt. Jackson Virginia.